What would the world be without our wonderful, hardworking teachers? Really, we should be celebrating them year-round, not just for one week! Simply Sweet - FREE cupcake! VanGogh & Paint - Paint on 16x20 canvas for $30/person plus tax! 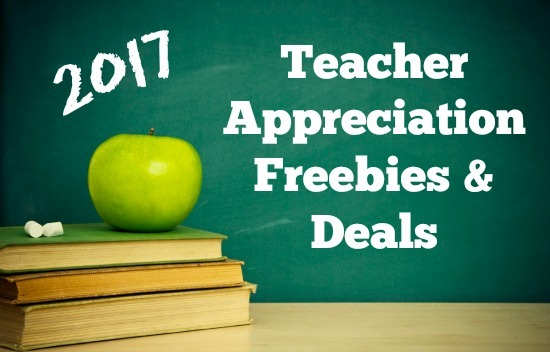 Teacher Appreciation Happy Hour - First drink FREE, plus you get one free raffle ticket! Lost Pines Toyota - 10% off any vehicle service! Natural Bridge Caverns - FREE Discovery Tour and AMAZEn' Ranch Roundup ticket! For national perks, as well as some year-round discounts, click here. 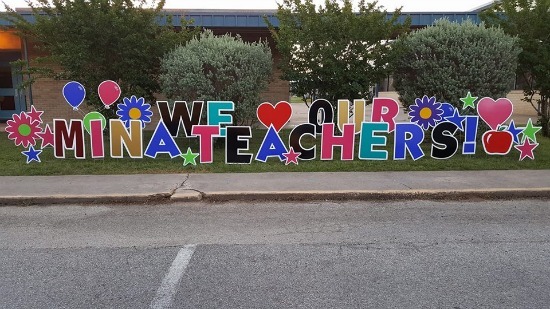 Kudos to Mina Elementary for winning this awesome display for their teachers from All Affairs Yard Cards! If you have any freebies or discounts to add to our list, please contact us at info@365bastrop.com.